BOZEMAN – In an evenly fought game in which it could ill afford mistakes, Idaho made several notable ones Saturday in snowy Bobcat Stadium. Those mistakes allowed Montana State to eke out a 24-23 homecoming victory against the Vandals. 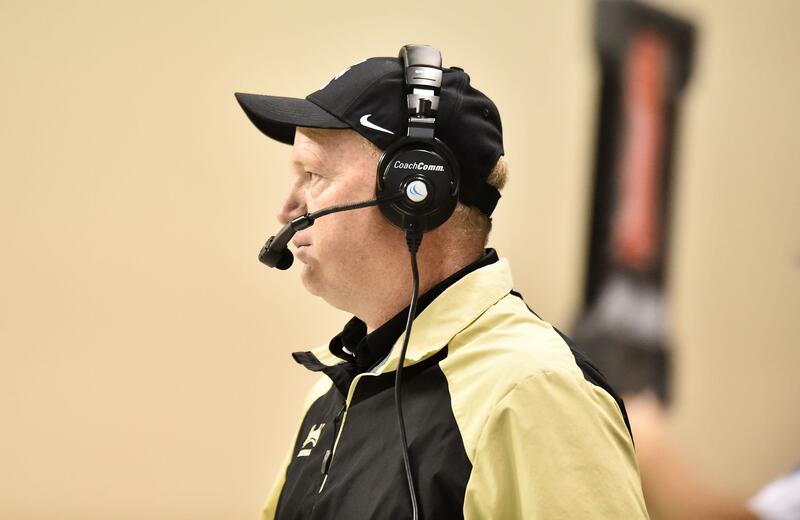 The most disheartening miscue was a missed extra point after David Ungerer’s freestyling run on a broken gadget play allowed Idaho to pull within a point with 3 minutes, 7 seconds to play. Without a timeout to prevent the Bobcats from draining the clock, Idaho was forced to try an onside kick to regain possession. The ball went out of bounds and over to MSU. Quarterback Troy Andersen kept three consecutive times for a first down. The Wildcats were able to run out the clock. It was a disappointing ending to perhaps the most impressive, come-from-behind effort Idaho has put forth all year. After surrendering a 17-7 third-quarter lead, the Vandals rallied to score late in the fourth quarter were poised to send the game to overtime. On a double reverse on third down at the 9-yard line, Jeff Cotton moved from right to left across an empty backfield and took a handoff from quarterback Mason Petrino. Cotton flipped the ball to Ungerer, crossing from left to right. As the Vandals have practiced this all season, Ungerer is supposed to throw a pass over the pursuit to Petrino. Against the Bobcats, however, Petrino was covered. “I just had to make a play,” Ungerer said. Ungerer tucked the ball and scrambled up the middle for a touchdown. On the point-after attempt, Cade Coffey looked as though he got a good placement from holder Zach Charme but pushed the kick just outside the left upright. “I thought they hit the kicker,” Idaho coach Paul Petrino said. The referee, when asked by Petrino, said no. Ungerer was also hopeful the Vandals were headed for overtime. “I thought the PAT was good, by quite a distance, to be honest.” he said. The loss left coach Petrino crestfallen. Before the late-game drama, Idaho made several other critical errors that gave Montana State opportunities. Leading 17-7 and looking like it might put some distance between themselves and the stubborn Bobcats, the Vandals commited a roughing the passer penalty that gave MSU’s Andersen another shot at maintaining a drive. Anderson responded with a pass to Lance McCutcheon for a first-and-goal. On the next play, Isaiah Ifanse carried for a touchdown. Andersen rushed for 159 yards, and 60 came on the first play of the Bobcats’ next series. Facing pressure from the Vandals’ defense, Andersen abandoned a pass play and outran Idaho defenders for a score. It put the Wildcats ahead for the first time, 21-17. After Mason Petrino glanced a later throw off Bobcats defensive tackle Derek Marks’ helmet, safety Jahque Alleyne intercepted the fluttering ball. Tristan Bailey kicked a 42-yard field goal to widen Montana State’s lead to 24-17. Early on, the Vandals looked to be the superior team as in below-freezing temperatures and intermittent snow put a premium on physical ground games and stifling defenses. Defensive end Kaden Elliss led the Vandals with a sack and knocked down two passes in the first quarter. Idaho struck first when Isaiah Saunders cut behind Noah Johnson’s block and capped a 75-yard drive with a 5-yard touchdown run. Andersen answered for Montana State with a 35-yard scoring run before Saunders scored again to give the Vandals a 14-7 halftime edge. Coffey’s 37-yard field goal in the third quarter gave Idaho its biggest lead. Saunders led the Vandals with 82 yards on 19 attempts and two touchdowns. Mason Petrino completed 21 of 35 passes for 162 yards and one interception. He also rushed for 51 yards on nine carries. Ungerer caught eight passes for 70 yards. Montana State improved to 4-2 on the season, 2-1 in the Big Sky Conference. Idaho fell to 2-4 and 1-3 in the league. Published: Oct. 13, 2018, 5:35 p.m. Updated: Oct. 13, 2018, 6:23 p.m.